In this article, we're going to cover Venkateshwara Open University and their distance education MBA programme. A distance learning programme should be designed in such a way that it gives all the flexibility to the students that they can learn at their preferred timings. 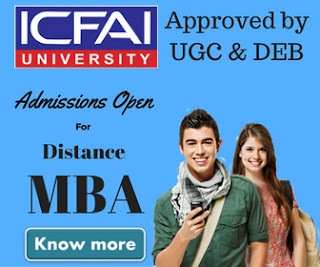 Venkateshwara Open University distance education MBA course is one of such course. It is designed in such a way that it gives a great flexibility to the learner so that they can learn at the time they want. The Distance education MBA course offered by VOU is powered by Edusphere. That means more flexibility, convenience, and more control over your study. Edusphere empowers the students with flexibility and quality to complete their higher education without compromising their professional career and personal life. 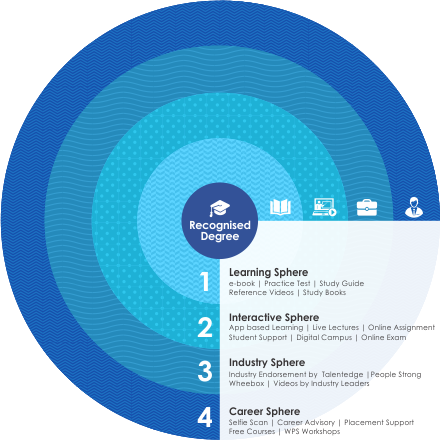 Edusphere is a 4-layered learning methodology that empowers distance education and provides all the tools to the students to get the most out of their MBA degree programme. Venkateshwara Open University is recognized by the University Grants Commission (UGC) under section 22 of the UGC Act 1956 to offer distance education degree courses and award degrees. The distance education MBA programme offered by Venkateshwara Open University is a 2 years post graduate degree programme that offers 18 specializations to choose from. Offered by VOU-School of Strategic Management, the programme can be completed in Minimum 2 years and Maximum 4 years duration. The MBA courses are designed to develop skilled professionals for niche industry segments. The program has some distinct feature which makes it different from the crowd. Skill Assesment: In collaboration with Wheebox, Venkateshwara Open University offer Skill Assesment facility where the university assesses your skills to make you industry ready. Job Readiness: The university also provides job assistance to their students after completion of the course. VOU in association with PeopleStrong provides such facility to their students. Placement Assistance: VOU also provides placement assistance to all the students. 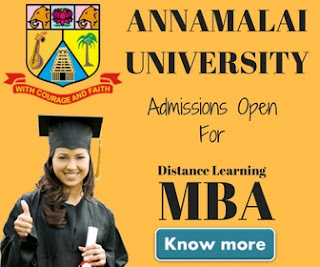 Venkateshwara Open University offers the following 18 specialized Distance Education MBA courses. Below is the fee structure for Venkateshwara Open University Distance Education MBA courses. The admission procedure for Venkateshwara Open University Distance Education MBA is quite simple. Students can apply for the program online or can request a call back from their counselors to clear their queries before submitting their application for admission. After filling up the application form, students are required to submit the application form along with the required documents along with the fee. A student can pick one of the payment options from the options as listed above in this article. After receiving your documents and application, the University will send your documents for verification. After verification, it will be sent for further admission process. For any further information, students can directly get in touch with the university. The address of the university is given below.